'The Banality Of Evil': Following The Steps To Sept. 11 Ten years ago Friday, both the leader of the Sept. 11 hijackers and the U.S. counterterrorism chief were at work. They had spent years working on opposing sides of the same war. Retracing the actions of the two men over the years before the attacks shows how luck and focus made all the difference. 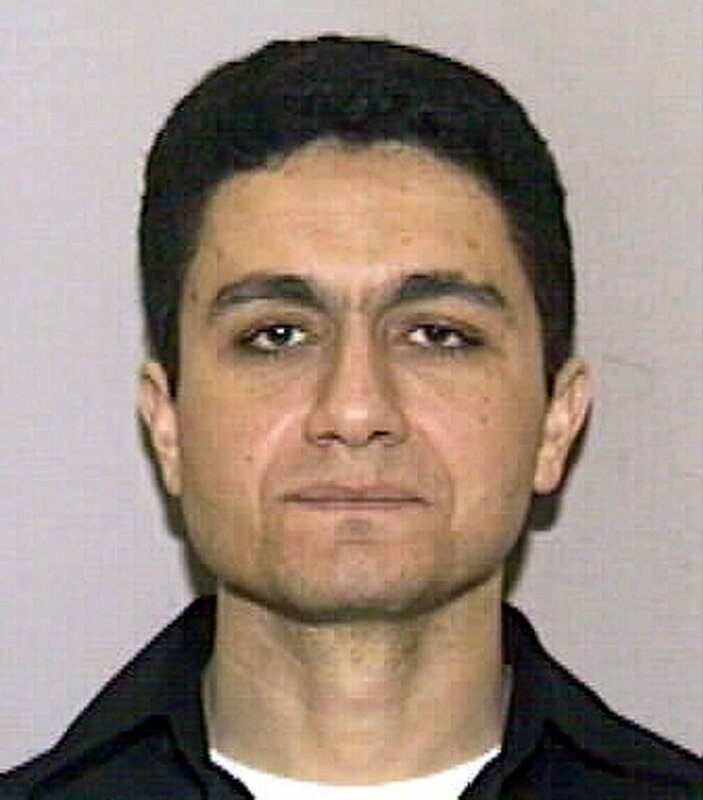 Mohammed Atta was the leader of the Sept. 11 hijackers. After a last-minute change of plans, Atta arrived in Afghanistan just as Osama bin Laden had approved the plot. Ten years ago Friday morning, the men who would become the Sept. 11 hijackers were ready. They woke up on Sept. 9, 2001, in small motels along the East Coast. Their leader, Mohammed Atta, was one of the last ones on the move. He was checking in with the teams on his way to Boston. The White House counterterrorism chief, Richard Clarke, was also at work that day. He was watching something happening in al-Qaida email chatter — he just didn't know what. Both Atta and Clarke had spent years working on opposing sides of the same war. Retracing the steps of the two men over the years before the attacks shows how luck and focus made all the difference. In the days before Sept. 11, Atta took care of tiny details – there was money to be transferred, a trip to a Kinko's. On Sept. 9, 2001, when he checked into a hotel in Boston, he had stripped his life down to the essentials. In his bag were a change of clothes, a Quran and a list of preparations. "He was a strange fellow, by almost any measure," says Terry McDermott, who wrote a biography of the Sept. 11 hijackers called Perfect Soldiers. "He wasn't pleasant in almost any setting. It's almost surprising he had any friends at all." In his office next to the White House, Clarke was also spending the day alone. He had been working on counterterrorism from the same room for almost 10 years. The office had oriental rugs, a fireplace and a stunning view of the Washington Monument. "It was home because I spent 14 hours a day there," Clarke says. Not for much longer. Clarke was frustrated that the Bush administration wasn't listening to his advice, and he had requested a transfer. In just a few weeks, al-Qaida would be someone else's problem. The 1999 Senate trial of former President Clinton so captivated the world, that it was even the subject of discussion in a small apartment in Hamburg, Germany. Atta was an engineering student there. He and his friends would sit around speculating that Monica Lewinsky was really a Mossad agent sent by Israel to bring down a president. McDermott, the author, spoke to Atta's roommates and relatives. Atta didn't even want to be in Germany — his parents had forced him to leave Egypt to make something of himself abroad. "Atta was, above all, dutiful. He was a fellow who would do what he was told," McDermott says. "He was a capable guy, and he was bright, but he just had no initiative of his own." McDermott found out from a roommate that Atta hated to eat. He found it boring. He used to boil a bag of potatoes, mash them up, and leave a mound on a plate in the refrigerator. When he was hungry, he would simply grab a spoon and take a chunk out of his potato mountain. The sullen Atta only seemed to find his inspiration at a local mosque. He moved in with some of the men he met there. Neighbors said they would see a dozen pairs of shoes outside the door and hear the men arguing into the night. "He and his friends in Hamburg spent five years, really, talking about what they should do, what their obligation was, what should a good Muslim do," McDermott says. In 1999, the U.S. government was also stuck trying to figure out what to do. At the White House, Clarke had been warning for years about the threat Osama bin Laden posed. The U.S. had been tracking bin Laden through Afghanistan. Clinton had given his blessing to capture or kill bin Laden, but Clarke says no one was willing to bomb al-Qaida training camps. "People were reluctant without a specific provocation or intelligence about bin Laden's location to bomb and destroy those camps," he says. "That was the chief frustration, I felt." However, the world was about to pay much more attention to the threat of terrorism. "We began to get intelligence that al-Qaida was planning a series of attacks around the millennium, and so we developed a plan to try to identify where those attacks would be, but also just try to rattle their cage and smoke them out," Clarke says. While Clarke still wasn't getting the go-ahead to bomb training camps, the U.S. did put the nation on high alert near the end of the Clinton administration. "We think it stopped attacks," he says. "Some of it was good luck, and some of it was because of the effort we made." It turns out al-Qaida was luckier. They were about to find the men they needed for their most audacious plan yet. It almost didn't happen. As the millennium approached, after long nights of debate, Atta and his friends made a decision. They would fight in Chechnya, against the Russians. By chance they met another Muslim on a train, who basically said, "How are a bunch of amateurs like you going to get to Chechnya?" He suggested they go to Afghanistan instead and get training first. "Coincidences just pile on top of each other," McDermott says. "It couldn't have been more than a month after bin Laden approved that plot that these guys stumbled into Kandahar. It's a remarkable coincidence." Bin Laden had just given the OK to the plot — something he called "The Planes Operation." It required men who were willing to die, but also smart enough to fly a plane. They had to know the West and be able to get a U.S. visa. Then Atta showed up in Afghanistan. The plot was in motion, but it would take another year for the U.S. to know something was in the works. By the time George W. Bush was sworn in as president in January 2001, Clarke was getting tired of waiting. Al-Qaida had blown up a U.S. warship in Yemen. The USS Cole attack killed 17 members of the U.S. military. In the mess of the election season, the country never hit back. The summer of 2001 will likely go down in history as the summer of missed opportunities. "We were listening to al-Qaida people. We were intercepting their phone calls. We were intercepting their emails," Clarke says, "and all of those indicators were coming back that there was a major attack in the works." Still, clues were overlooked: A man named Zacarias Moussaoui was arrested in Minnesota after his flight school instructor said he was acting like a hijacker. The CIA gave Bush a briefing with the now famous title of "Bin Laden Determined to Strike in U.S."
All summer, Clarke couldn't get the Bush administration to plan a Cabinet-level meeting on al-Qaida. Too many people were on vacation. By the time a meeting was scheduled in September, Clarke was already planning on transferring jobs. "So I left the Sept. 4 meeting frustrated that they hadn't made decisions and frustrated that they still hadn't got it, and thinking, 'Well at least in three weeks it won't be my responsibility anymore,'" he says. Atta never wavered in his responsibilities. His path through the summer of 2001 shows he was a master of details. Atta had shaved his beard and finished up his flight classes in Florida. "Atta was pretty good student. There was nothing that seemed odd to anybody," McDermott says. He was busy: He opened bank accounts and went on reconnaissance flights to Las Vegas. McDermott has seen his credit card receipts and says it's amazing. "These guys were cheap. They shopped at Walmart, ate at Denny's. They didn't splurge on anything," he says. Atta picked the date, Sept. 11. He bought plane tickets. "It is truly the banality of evil. It isn't made up of high thoughts; it's made up of logistics," McDermott says. Atta, the rule-follower, even had the guts to contradict his boss. Bin Laden wanted one of the planes to strike the White House. Atta argued that the Capitol building would be easier. In Atta's luggage, investigators found a long list of what the hijackers were supposed to do on the night before Sept. 11. They must wash, it says, shave excess hair from the body and completely forget this world. Atta had a few more mundane errands to run on his final night. He went to a Walmart in Portland, Maine, and pulled money out of an ATM. It's unknown if Atta followed the detailed instructions — if he sharpened his knife or said a prayer as he packed on the morning of Sept. 11. It is known that at 5:33 a.m., Atta checked out of room 233 of the Comfort Inn and headed to the airport.